With GEMESYS gDOSbox, or iPad DOSpad, you can run the Borland-C++ Compiler ... and compile Blowfish! Not everyone loves APL. 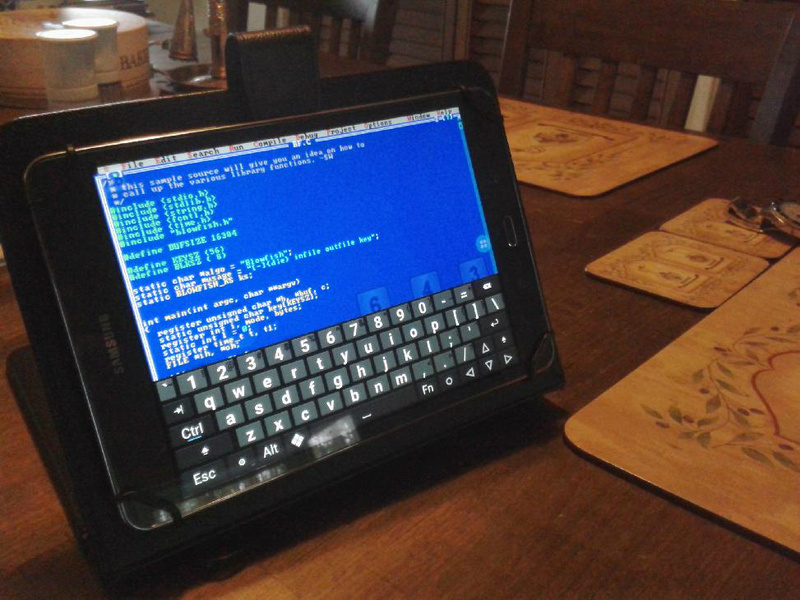 So here is the Borland-C++ compiler, running under gDOSbox on an Android Samsung Tablet, compiling the "Blowfish" encryption program. The Blowfish algorithm is a decent encryption program, which accepts an input file, and output file, a switch (e = encrypt, d = decrypt), and a password-string. The little Android and iPad tablets are complete, full computers, in their own right. There is no reason one cannot use them to perform useful tasks. This is Borland-C++ IDE compiling BF.C , the Blowfish encryption tool, running on a Samsung Tab-A Tablet, running Android Version 5.0.2. Starting "Run..." by pressing <ALT-R> starts the Linker... Note we are using Klaus Weidner's "Hacker's Keyboard", which works well with gDOSbox. And back at gDOSbox level, you can run Blowfish, which is used to encrypt your material, and keep your information secure and private, if it has to be sent anywhere. 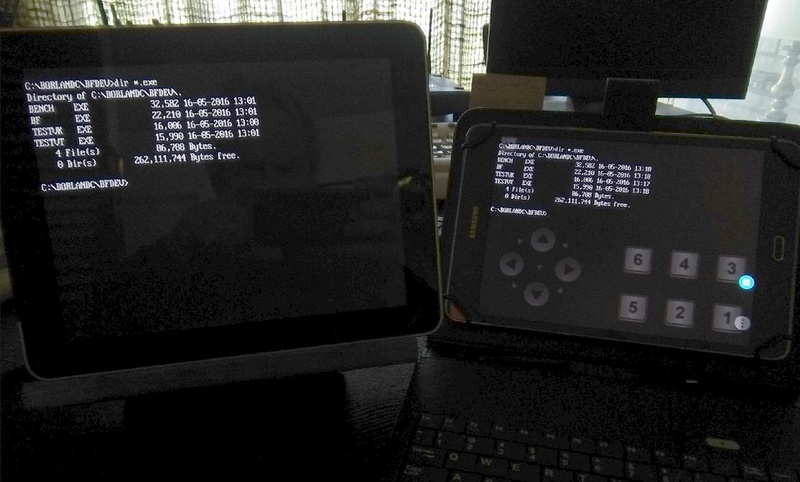 The Blowfish .EXE's compile *exactly* the same on iPad running DOSpad, as on a Samsung (Android 5.0.2) TAB-A running gDOSbox. This picture above shows the just-created four Blowfish .EXE files, built after running MAKE CLEAN and MAKE on each platform.